" East African Campaign | 03.08.1914 to 25.11.1918 | 5 " Battle of Mons | 23.08.1914 | 1 " Battle of Le Cateau | 26.08.1914 | 1 " First Battle of the Aisne | 13.09.1914 to 28.09.1914 | 2 " Battle of La Bassee | 10.10.1914 to 18.10.1914 | 2 " First Battle of Ypres | 19.10.1914 to 22.11.1914 | 14 " Gallipoli Campaign | 17.02.1915 to 09.01.1916 | 23 " Battle of Neuve Chapelle | 10.03.1915 to 13.03.1915 | 2 " Second Battle of Ypres | 22.04.1915 to 25.05.1915 | 14 " Battle of Festubert | 15.05.1915 to 25.05.1915 | 1 " Battle of Loos | 25.09.1915 to 08.10.1915 | 8 " Battle of Hohenzollern Redoubt | 13.10.1915 to 19.10.1915 | 1 " Siege of Kut | 07.12.1915 to 29.04.1916 | 4 " Battle of the Somme | 01.07.1916 to 18.11.1916 | 65 Second Battle of Kut | 23.02.1917 | 1 " British capture Baghdad | 08.03.1917 to 11.03.1917 | 1 " Second Battle of Arras | 09.04.1917 to 17.05.1917 | 17 " Battle of Messines | 07.06.1917 to 14.06.1917 | 5 " Third Battle of Ypres (Passchendaele) | 31.07.1917 to 10.11.1917 | 12 " Battle of Cambrai | 20.11.1917 to 03.12.1917 | 2 " German Spring Offensive | 21.03.1918 to 05.04.1918 | 19 " Hundred Days Allied Offensive | 08.08.1918 to 11.11.1918 | 20 "
House: Sch, 1899 - 1901. Regiment: Liverpool Regt. Died: 01 July 1916 aged 32 in France. Killed in action. Son of Marion Annie Brockbank, of "Ulverscroft," 19, Adelaide Terrace, Waterloo, Liverpool, and the late R. M. Henry Brockbank. In business in Karachi, India, 1906-11. Partner in William Porter & Co., Liverpool. Became a partner in his father's firm of African produce merchants. He enlisted in 1914, became a Captain in March 1916, and was in command of 1 Company, 18th Battalion The King's (Liverpool Regiment). 'Norman Brockbank was a thoroughly good boy at school; steady, trustworthy, loyal. All his subsequent career has borne out the hopes of his friends, and his ready answer to his country's call was of a piece with his previous record.�S.R.J. After leaving school, he spent five years in business in India, returning afterwards to Liverpool, where he became a partner in the firm of W. Porter and Co., African produce merchants. At the outbreak of the war he trained with the 2nd City Battalion of the Liverpool Regiment. ' (Malvernian, Jul 1916). On the first day of the Battle of the Somme, he led his men into action. He was shot twice by a machine gun and died. It was his 32nd birthday. After being hit, he refused to seek shelter and asked to remain in the open so that he could continue to cheer on his men. He was heard shouting "go on, number one" - a memory that stayed with the men of his company. House: Sch, 1900 - 1904. Regiment: Royal West Surrey Regt. Died: 01 July 1916 aged 30 in France. Killed in action at the Somme. 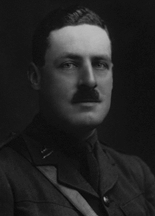 Son of Edward and Katharine L. Brocklehurst, of Kinnersley Manor, Reigate, Surrey. b. 1886. Trinity Hall, Cambridge; B.A. (First Class Law Tripos Pt. I.) 1907; Second Class Law Tripos Pt. II. 1908; LL.B. 1908. Joined the 28th Btn London Regiment as a Private and embarked to France on 24th October 1914. Left on 25th May 1915 to be a 2nd Lieut posted to 2nd Bn Royal West Surrey Rgt. 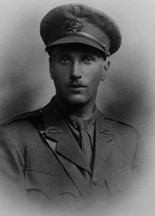 Promoted to Captain on 20th August 1915. Wounded in action on 25th September 1915. Sustained a shell wound of the right buttock, the fragment still remaining. An unsuccessful attempt was made at removal on October 5th 1915. Rejoined Btn in the Field on 15th February 1916. Killed near Mametz. Buried on the Mametx-Montarcon Road, 1/2 mile N E of Mametz and 2 miles North West of Mancourt. 'He will be remembered by his contemporaries at School as the possessor of a delightful treble voice and as a pianist of unusual merit. There was a remarkable solidity about his character combined with much personal charm, and the seriousness of purpose which he showed at all times gave high promise for the future. It is no surprise to those who knew him that he has gallantly made the supreme sacrifice.' (Malvernian, Jul 1916). House: No 8, 1910 - 1914. Regiment: West Yorkshire Regt. Died: 01 July 1916 aged 20 in France. Killed in action near Serre. Born: Aug 16th 1896. Son of Charles and Elizabeth E. Everitt, of 12, Inglis Rd., Colchester and 5 Sydenham Rise, Forrest Hill, S.E. Brother: John Page Everitt. Upper V�VI. House Scholar. School Prefect. Head of House. XL Football; House XI Cricket. 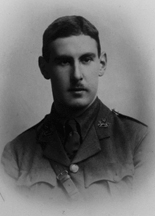 Great War, 2nd Lieutenant 11th Yorkshire L.I. 1914; 15th Bn. West Yorkshire Regiment (Prince of Wales's Own). 'Before going to France he served with the West Yorks Regiment in Egypt, and was recommended for promotion six weeks ago. His career here marked him out as a leader of the first order, and one cannot speak too highly of the splendid example he set to those over whom he was in authority.' (Malvernian, Jul 1916). There is a memorial to him at St Leonard at the Hythe Church, Colchester. House: No 7, 1898 - 1900. Regiment: West Yorkshire Regt. Son of Rev. H. L. Harkness, Hove, Brighton. b. 1884. Shell�Lower V. House XI Cricket. Captain 4th West Yorkshire Regt. (Special Reserve) 1908. 2nd Bn. West Yorkshire Regiment (Prince of Wales's Own). The Times: "Captain Harkness held a commission in the West Yorkshire Regiment at the outbreak of the war, and saw active service in the earlier engagements. He was injured at Neuve Chapelle owing to a fall from his horse, and was invalided home. 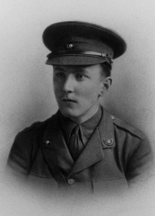 He had only recently re-joined his regiment when he fell in action on July 1st." His Colonel writes: "He was in command of the two leading companies, and led them with great coolness right up to the enemy's trenches when he was killed by a shell. To him and his fine example during the battle is greatly due the splendid reputation the Battalion gained in this action." (Malvernian, Jul 1916). House: No 3, 1903 - 1907. Regiment: London Regt. Died: 01 July 1916 aged 28 in France. Killed at Gommecourt. Son of Walter Sydney and Florence Harvey, of 9, Vale Court, Maida Vale, London and 24 Westbourne Terrace Road, W. b. 1888. Lower V�VI. School Prefect. Ledbury Cap; XI Football; House XI Cricket. Trinity College, Oxford; Third Class Mods. 1909; B.A. 1910. Assistant Master at St. Andrew's School, Eastbourne. Great War, 2nd Lieutenant 1st/5th Bn. London Regiment (London Rifle Brigade). 1914, Captain. 'An earnestness of purpose, crowned with an attractive personality, endeared Bernard Harvey to all who knew him. He set a fine example of loyalty to school and house, and he never spared himself to make others share his true enjoyment of life. At Oxford he figured prominently on the river, and interested himself deeply in the Trinity College Mission. He chose school-mastering as his profession, and returned to his former school, St. Andrew's, Eastbourne. At the outbreak of war he applied for and received a commission in the 5th Battalion of the London Regiment. He was wounded in May, 1915. Early this year he was promoted to be Captain. He was killed in action on July 1st. His General writes: "One of my men says he was with Captain Harvey when he was hit in the shoulder, but he still continued to lead his men and cheer them on. He was wounded again, and in the evening when conducting the retirement he and others had to get through some wire; in doing so a noise was made that attracted the attention of the enemy, and the end came at once."' (Malvernian, Jul 1916). House: No 4, 1909 - 1914. Regiment: Lincolnshire Regt. Died: 01 July 1916 aged 21 in France. Killed in action at the Somme. Son of Ven. Archdeacon Jeudwine and Harriet Elizabeth Jeudwine, Lincoln, b. 1895. Lower Shell�Science I. O.M. Science Prize 1913,14.. House Prefect. House XI Football. Offered place at Caius College, Cambridge. Great War, 2nd Lieutenant 2nd Bn Lincolnshire Regt. 1914, Captain. 'Jeudwine left in the summer of 1914, intending to proceed to Caius, Cambridge. Like many others, he found himself at once called to other and sterner duties, and obtained a commission in the Special Reserve of the Lincoln Regiment. He saw a good deal of active service on the Western Front, and was twice wounded�May 1915 and 1916. On the first day of the battle of the Somme (July 1st, 1916) he was in action with his regiment, and was posted at the end of the day as Missing. Nothing further having been heard, he is now presumed to have been killed in action: one of thirteen O. Ms. who fell on that fatal day. He was a boy of considerable intellectual capacity, with varied interests and a catholic taste for all literature.' (Malvernian, Dec 1919). On the first day of the Battle of the Somme his battalion was ordered to attack the German held village of Ovillers-La-Boiselle. The battalion had 450 casualties, including 21 officers with him being among the 'missing'. House: No 6, 1903 - 1907. Regiment: Northumberland Fus. Died: 01 July 1916 aged 27 in France. Killed in action at the Somme. Son of Farquhar M. Laing, Farnley Grange, Corbridge-on-Tyne. b. 14th Nov 1889. 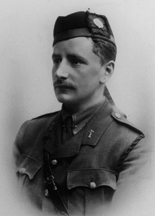 Great War, 2nd Lieutenant 22nd (Tyneside Scottish) Bn. Northumberland Fusiliers 1914, Captain. Killed in action at La Boiselle on the Somme. 'As a boy he was shy and reticent, and did not distinguish himself greatly in the general life of the School. He joined a Battalion of the Northumberland Fusiliers in November 1914, and at the time of his death he commanded his Company. He was killed in action in July of this year.' (Malvernian, Nov 1916). 1st July 1916. 7.30am. The battalion moved forward to the attack on the enemy trenches south of La Boiselle. Heavy enemy gun fire was experienced but the Bn, less heavy casualties suffered, reached enemy 2nd line. A small party proceeded toward the enemy 3rd line but had to retire owing to heavy enemy fire. 8am. Six separate attempts to rush our flanks were made by the enemy without avail. 12.45pm. Strength 7 officers and 200 other ranks. 10.15pm All ranks greatly in need of water and very much fatigued. House: No 2, 1887 - 1895. Regiment: London Scottish Regt. Died: 01 July 1916 aged 40 in France. Killed in action. Son of W. A. Lindsay, K.C., Clarenceux King of Arms, and Lady Harriet Lindsay, 17 Cromwell Road, b. 1876. III�VI. Dowdeswell Prize. School Prefect. Head of House. XI Football 1893,94; XXII Cricket; Shooting VIII (captain); Lieutenant in Corps. Scholar, Clare College, Cambridge; BA. (Jun. Opt.) 1898. Examiner Scotch Education Department 1899; Hon. Secretary O.M.F.C. 1900-08; Captain 1st/14th Bn. London Regiment (London Scottish). Husband of Helen Margaret Lindsay, of 7, Emperor's Gate, South Kensington, London. 'By the death of Francis Howard Lindsay, Malvern has lost a devoted son, the country has lost a loyal and gallant officer, and many people have lost a true friend. The same keenness which marked his life as a man was one of his chief characteristics when he was a boy at school. During his time here he strove with unfailing energy and enthusiasm to promote the interests of his house and the interests of the School. His efforts met with conspicuous success. He won considerable distinction for himself and much more for his house. He was prominent in every part of the life of the School. In football he did good service as a member of the XI, and he was one of the mainstays of his house team. As a cricketer and a fives-player he achieved considerable success at times. He shot for the School at Bisley on several occasions, and in the Corps he was a keen volunteer at all times, and in the latter part of his time he was a capable officer. His intellectual attainments, especially in mathematics, were considerable. After he left Malvern he showed his devotion to the School by the deep interest which he took in all that went on here, and he rendered most important services to the O. M. Football Club for a considerable period. He kept up his rifle-shooting and regularly attended the Bisley meetings, and sometimes shot with great success. But what claimed his chief attention and occupied much of his leisure time was the work connected with the Volunteer (or Territorial) Force. 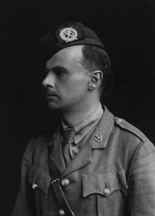 When he entered the Scotch Education Department in London he joined the London Scottish Corps, and he did good service to his country by helping to give the men of that force a sound physical and military training. Of his professional work in London a writer in the Scotsman says: "His administrative experience as an examiner in the Scotch Education Department was wide, and in 1912 he was selected to take special charge of the superannuation scheme for Scottish teachers�a new branch of work. It was a task for which his mathematical tastes and his habit of careful and conscientious work made him admirably fitted, and he threw himself into it with great zest. It is not too much to say that the teachers of Scotland owe him a substantial debt of gratitude for his unsparing labours which enabled him to overcome the difficulties which attended the new scheme." 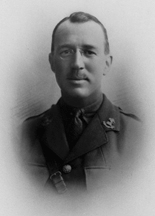 In 1914 he volunteered with his regiment for foreign service, and was severely wounded at Messines in November of that year. 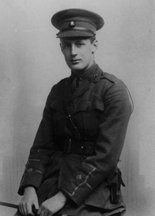 He was not fit again for foreign service till May 1916, when he went to France a second time. He was killed in action on July 1st. He was gazetted temp. Major a few weeks before.' (Malvernian, Jul 1916). House: No 3, 1911 - 1914. Regiment: Royal Lancaster Regt. Died: 01 July 1916 aged 20 in France. Killed in action at the Somme. Born: 6th October 1896. Son of Hon. Col. Hugh Mesnard Melly, V.D., and Eleanor Lawrence Melly, Quinta, Greenheys Road, Liverpool. Passed into R.M.C. Sandhurst, but did not enter. Great War. 2nd Lieutenant 1st Bn. King's Own (Royal Lancaster Regiment). 'From here he passed into Sandhurst, but war broke out just before he was due to join. He, therefore, chose to accept an offer of joining the Special Reserve of the King's Own (Royal Lancaster Regiment). He went out with a draft to France and was wounded in the foot on (27th) April, 1915 (at Ypres). Later on he received a commission and proceeded again to the front. He was killed on July 1st while leading his men on to assault the second line of German trenches. His Major writes: "He was very happy in his life in the Regiment. He was a brave, fearless and capable officer." ' (Malvernian, Jul 1916). Killed in action at Serre on the first day of the Battle of the Somme. 'Green Trench, near Serre. 1st July 1916. At 8.46am leading sections of the Batn advanced from the assembly area. Directly the advance commenced the Batn came under heavy machine gun fire and there seems no doubt that a large number of casualties occurred before reaching our own front line. The advance still continued, however, a large number of casualties being sustained in no man's land from both machine gun and shell fire. Only a small number of the two left companies reached the German front line. 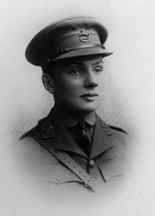 2nd Lieut Melly was among the 7 officers killed in his battalion, and a further 13 officers were wounded. Only 120 men were left at the end of the day.' (Unit War Diary). House: No 7, 1907 - 1910. Regiment: York and Lancaster Regt. Died: 01 July 1916 aged 23 in France. Killed in action at Fricourt. Son of J. H. Mullins, Rosapenna, Llanishen, Cardiff, b. 1893. Great War, Private 11th Batt. Welch Regt. 1914; Captain 10th York and Lancaster Regt. 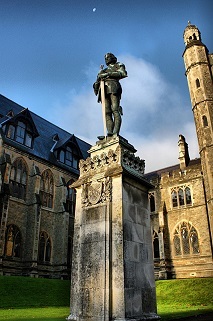 'On the outbreak of war he joined the Cardiff "Pals" as a Private, and after three months was given a commission in the York and Lancaster Regiment. 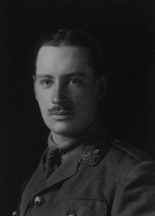 He went to France in 1915, and fought in the battle of Loos, after which he was promoted to the rank of Captain. He was invalided home in December, and went to the front again in May. ' (Malvernian, Jul 1916). House: No 6, 1909 - 1911. Regiment: Royal Irish Regt. Died: 01 July 1916 aged 22 in France. Killed in action at Thiepval. Born: 16th September 1894. 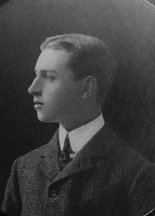 Son of Reginals Neill (O.M.) and Geraldine Neill, of "Sheena", Craigavad, Co. Down., and Collin Grove, Dunmurry, co. Antrim. Modern II�I. Chance Prize. House Prefect. 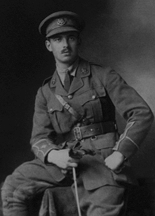 Great War, 2nd Lieutenant 11th Royal Irish Rifles 1914, Lieutenant. 'Reginald Neill was the son of R. Neill (O.M,), of Dunmurry, Co. Antrim. He rapidly made his way to the top of the Modern Side, and won the Chance Prize. On leaving School he became a stockbroker, and when war broke out he obtained a commission in the 11th Battalion of the Royal Irish Rifles. He was in action at the battle of the Somme (July 1st, 1916), and was reported Missing, His father has never been able to obtain any news of what happened to him. To him we extend our sincere sympathy in the loss of a son of proved merit and capacity.' (Malvernian, Dec 1919). The unit war diary states that their attack was initially successful but their flanks were exposed and the Germans heavily counter-attacked. The remnant of the battalion who went to attack in the morning at 7.30am returned to their trenches at 11.45pm with only 4 officers and 250 men. ''The Lieutenant was in B Coy, 2nd in command and took over when Captain Craig was wounded. I saw Lt Neil wounded at Thiepval on July 1st 1916; he was in a communication trench between the first and second German lines. He was lying down; his wound had been dressed; we held the ground. It was being heavily shelled all day.' (Informant L/Cpl M. Griffin). There is a memorial plaque in St John the Baptist Church of Ireland Church, Suffolk, Belfast. House: Sch, 1911 - 1914. Regiment: East Yorkshire Regt. Born: October 20th 1896. Son of Sydney Smith (Stock Broker) and Ethel Angeline Smith (formerly Jacomb), of "Endwood," 18, Grassington Rd., Eastbourne, Sussex, and Warnford Court, E.C. Middle IV B-Army III. House Prefect. XXII Football; House XI Cricket. R.M.C. Sandhurst; 1st Bn. East Yorkshire Regiment. 1915. 'At school he was a boy of great pluck and determination. His heart was set on entering the Army, and he would have made an excellent officer.' (Malvernian, Jul 1916). 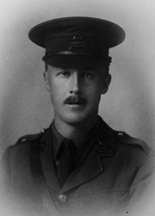 He was one of 8 officers killed in his battalion during the first day of the battle of the Somme at Fricourt. There is a detailed account in the unit war diary below. House: Sch, 1903 - 1906. Regiment: Border Regt. Born May 23rd 1889. Son of Francis Paul Smith, Greystone, Dale, Haltwhistle. Modern III�Lower Modern I. House Prefect. House XI Football. Great War, 2nd Lieutenant 11th Bn. Border Regiment. 1914, Captain. 'Raymond Smith was loved by all who knew him. His influence was always for good: he was a very faithful O.M., and there never was a keener man in whatever he took up. His character was transparently sincere and attractive.' (Malvernian, Jul 1916). 'Authille Wood. 1/7/16. Zero time 7.30am. Battalion advanced from assembly trenches at 8am and came under very heavy machine gun fire suffering over 500 casualties. Captain R Smith was one of ten officers killed.' (Unit War Diary).